Canada finally has a modern war movie to call our own. Hyena Road is a fictionalized tale of the 18-kilometre long “dagger into the heart of the Taliban,” in the real-life Afghanistan warzone. 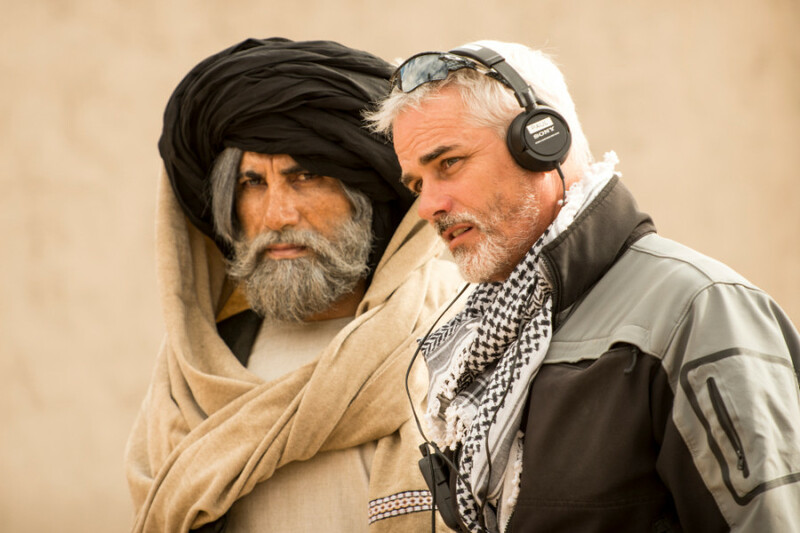 Our guides on this journey are military sniper Ryan Sanders (Rossif Sutherland), intelligence officer Pete Mitchell (Paul Gross) and officer Jennifer Bowman (Christine Horne), who struggle to keep the peace in the Kandahar province. Sanders and the audience are thrust into action in the very first scene of the film, when his team stops a Taliban rebel from planting an IED on the titular road. The four-man team immediately find themselves outmanned and outgunned by rebel forces, leading to them taking refuge in the home of a mysterious village elder (Niamatullah Arghandabi). The elder grant Sanders’ men “Panah” or protection which allows them to escape to fight the good fight another day. Mitchell soon reveals that the village elder is actually The Ghost, a mythical Afghan freedom fighter who beat the Red Army in his youth and could now help them defeat the Taliban. But nothing is ever simple in wars and in movies. Mitchell and Sanders clash as often as they connect with each other, debating politics and strategy while confiding about family they’ve left at home in Canada.Things also get complicated with a romantic subplot between Sanders and his commanding officer Bowman. Hyena Road is the spiritual follow-up to Gross’ 2008 feature film Passchendaele, based on the famous First World War battle. 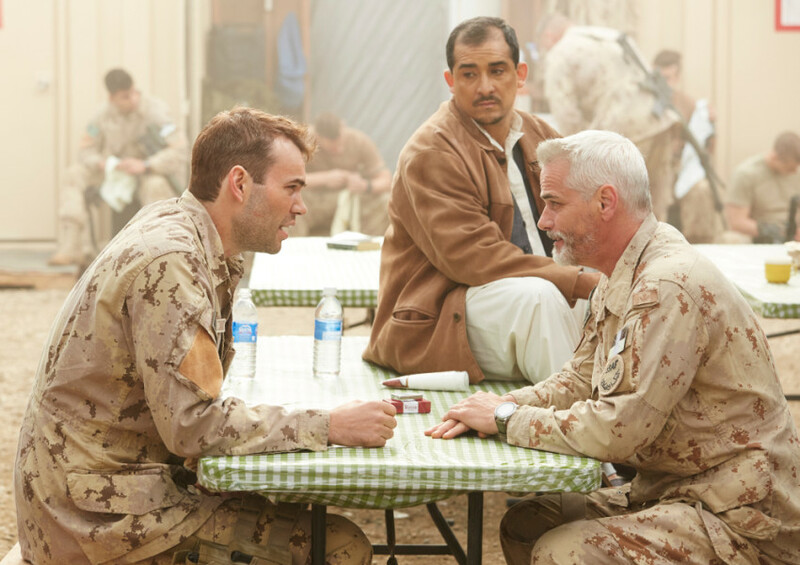 Though the war in Afghanistan is more infamous than famous here in Canada, it is still a story that needs to be told and Hyena Road does an admirable job. Comparisons will be drawn to the recent American Sniper and Lone Survivor, which also dramatized real-life war events: action set-pieces are gripping and violent, and the monotony in between the fighting feels just as real. There are cliché moments throughout the film that do lessen the impact of Hyena Road. The romance between Sanders and Bowman is choreographed to raise the stakes to an inevitable conclusion. Gross’ Mitchell doesn’t quite come off as either a kind mentor or bitter lifer, so we’re unsure of who to root for during key moments. And the film walks the fine line between propaganda and entertainment. But perhaps those moments are like the conflict being portrayed in Hyena Road: no black or white answers, just a long-winding mass or gray. In the end, you need to educate yourself and make up your own mind. Hyena Road opens in theatres on Friday, October 9, and I rate it 3.5 out of 5 raindrops.